behind the leopard glasses: to college and beyond! What I Wore: red studded flats- bought in a small shop in Shanghai, tribal print skirt- thrifted last year from my trip to Hilton Head, SC, grey metallic shirt- last year: A&F outlet in Hilton Head, SC, black lace cardigan- Lauren Conrad for Khols. I loved my experiences in college, and I wanted to share a Rider tradition that I got to re-experience in the pub. 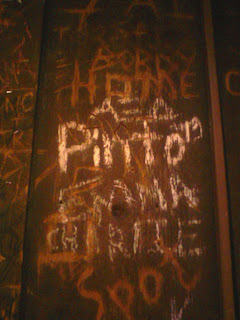 At the Rider Pub, you sign your name on the wall when you are a graduating senior. It is incredible to see all of the names and history. Just a really cool place to go and look at all the memories written on the walls. 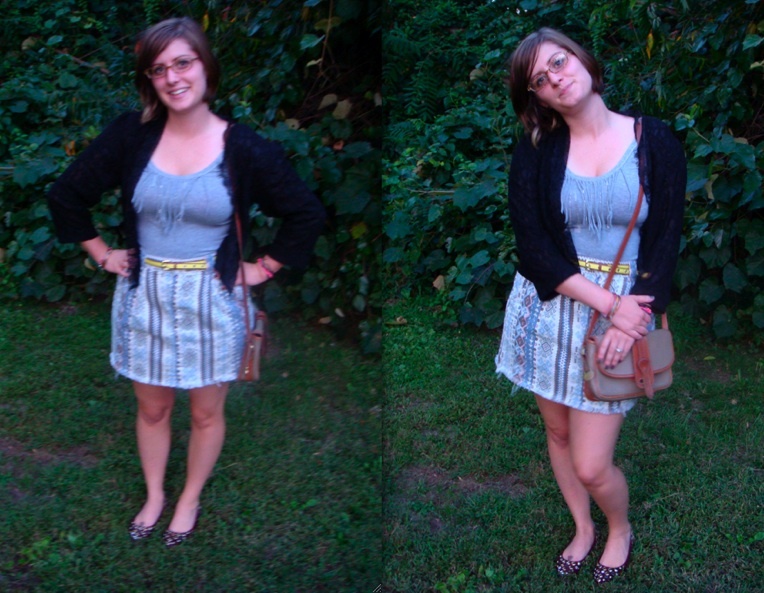 perfect outfit...fun for a bar, but also very "grown up"! that bar sounds like a fun time...i love the memories!